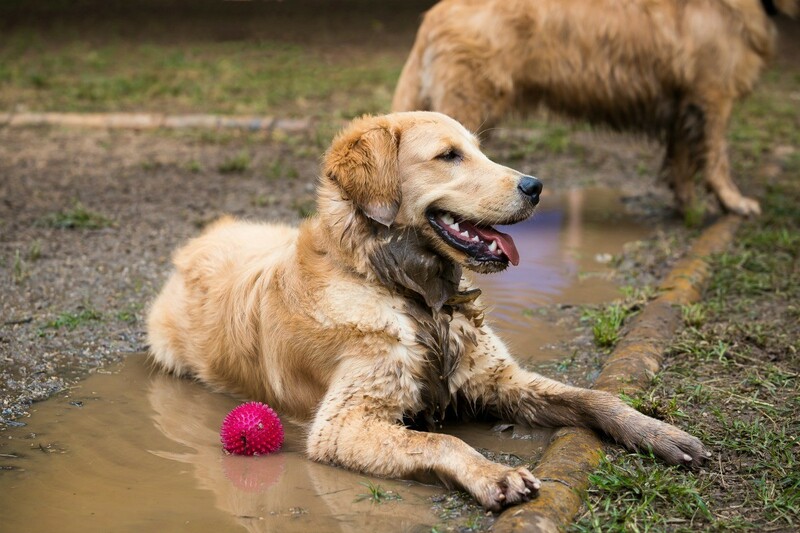 Dogs that have access to your yard can frequently track in mud. Other than wiping their feet every time they come in, this page offers some other solutions. This is a guide about keeping dogs from tracking mud inside. I guess this is a pet/home improvement combo question. I have 7 rescue dogs that live inside but go outside to play and to use the bathroom. We have a very large fenced in yard. We also have a septic tank and well and so there is a hill in the back yard. When they go out they have to go through a very large mud pit (unless it hasn't rained in a week or two) to get to the rest of the yard to relieve themselves. Put doggie shoes or make your own to go over their paws when they go outside and take them off when they come back in. You could also have hand towels, buckets of warm water and cloth to wash/wipe off their paws each time they come back inside. It's work with that many paws to keep clean often, but a labor of love. I agree with Lorelei in that wiping paws may help. What I do is limit their access to the house once they come in. From the yard, they enter through the kitchen. I have a big washable rug that catches much right inside the door. I agree with Lorelei. The best way to prevent it is to clean their feet when they come in. You may have to let them in one at a time to do it. I taught my dog an "on the rug" command and he stands on the throw rug when he comes in. I keep an old towel in a bucket by the door, and lift his paws one at a time to clean them. Now he is so used to it, he lifts his paws on his own for me! Drop a load of sand or pea gravel in the mud hole?